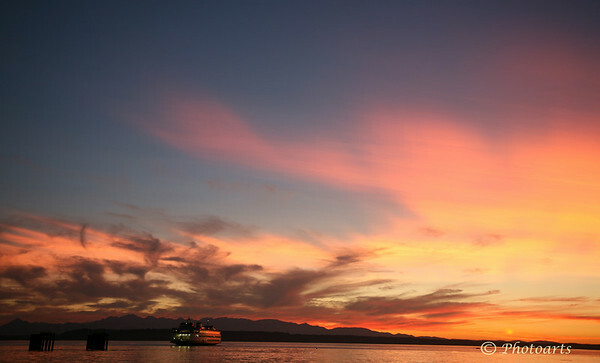 Edmonds / Kingston ferry sets off into sunset over Puget Sound. Fantastic sunset shot! We have a ferry boat that looks very similar to this one here on Staten Island.